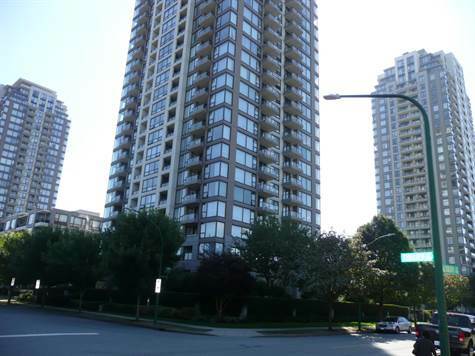 "Arcadia West by Bosa" ( in the heart of Highgate Village), Spacious 618 sq ft, 1 bed, 1 bath, 1 park and 1 locker with stunning quiet south view. This bright unit boasts an open floor plan including granite counter tops, gas range, insuite laundry, plenty of closet space as well as a good covered balcony with views of Mount baker, Fraser River and Ocean. Well managened building including fitness room, hot tub and recreation center. Close to transit, library, shopping, schools, Edmonds skytrain station.